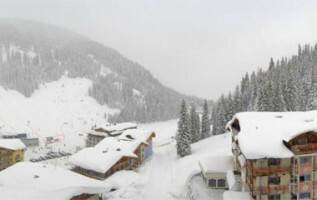 After another half a metre of snow fell in the Alps yesterday, the weather finally seems to be calming down. Ski resorts today were greeted with blue skies, and precipitation is expected to decrease significantly this week. Wednesday looks to be an ideal bluebird day, with temperatures dropping again on Thursday. Avalanche danger remains at 3 and 4 in most ski resorts, with some posting a risk of 5. Stay safe out there! Respect slope closures and don’t venture off-piste. 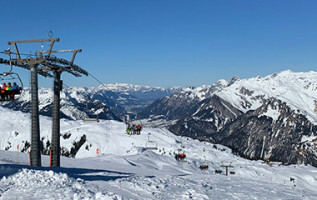 This week’s weather forecast represents a welcome reprieve for many Austrian ski resorts, who have been experiencing a chaotic couple of weeks thanks to the heavy snowfalls. 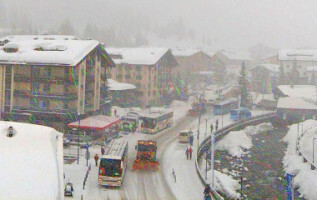 Road closures have affected well-known ski villages like Ischgl, Sölden, Hochfügen, Obergurgl-Hochgurgl, Lech am Arlberg and the Hintertux Glacier. Many ski areas have been closed, and while some skiers and snowboarders are happy just to explore the village streets, Obergurgl was even advising people to stay indoors yesterday. Near Lech am Arlberg, three German skiers were found dead this weekend and one is still missing after an avalanche swept them away. They were wearing touring skis and were found near a steep slope that had been closed due to the avalanche risk. But roads n Austria iare slowly starting to open up again and the hope is that conditions will return to normal soon. SNOW ALERT: Winter isn't over yet!